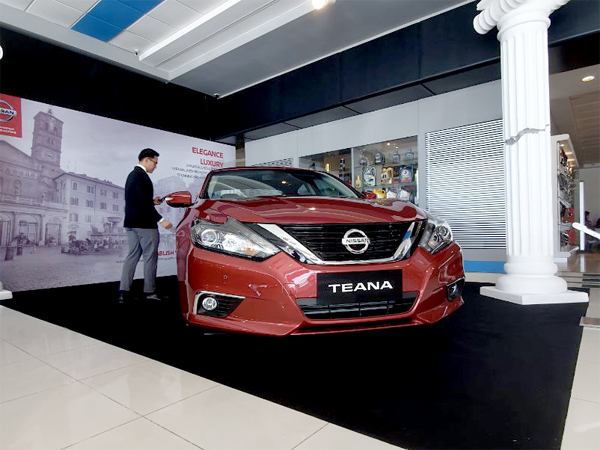 After a few years, Nissan Teana has unveiled its updated, refurbished look and of course, not forgetting its latest features. 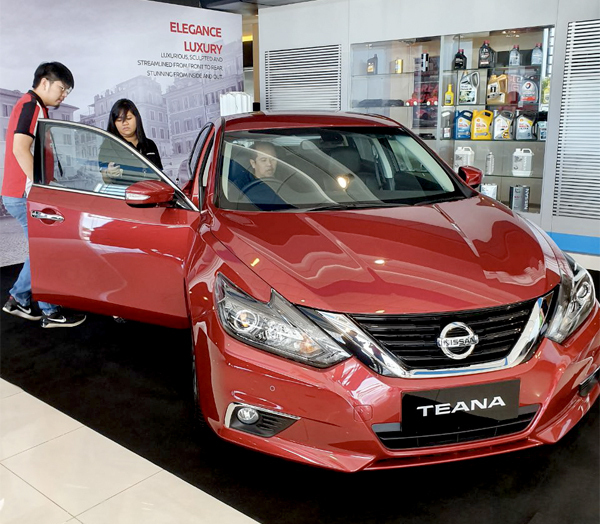 The Teana finally arrived in Brunei Darussalam last weekend, being showcased at Boustead showroom at Beribi. 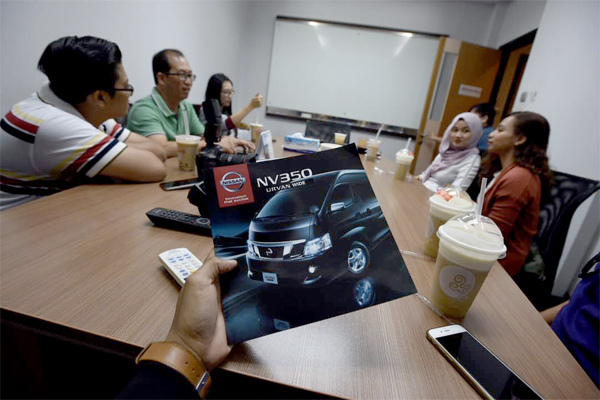 As you know, Boustead Sdn Bhd is the sole distributor of Nissan in Brunei Darussalam. It does look sportier compared to the older model. It looks bolder with a slicker front design with the Nissan V motion grille. 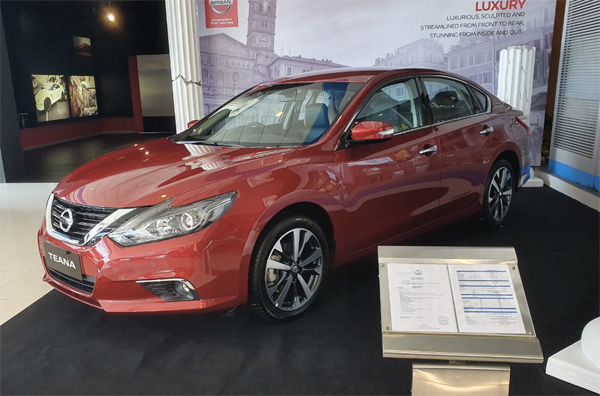 If you are familiar with the older Teana, the new model is longer and slightly higher too. Perhaps the best feature is the Remote Start Engine. Maybe the first I’ve seen in Brunei. Basically you can start the engine of Teana remotely within 100 metres, using the Nissan Intelligent Key. This is definitely an advantage for me since I’m always on the move and I can convenient warm up the car’s engine before driving off. I’m pretty sure other competitors will follow suit but for now, Teana has the edge. There is also the new four-inch 3D Information Display for the convenience of the passenger. The Nissan Teana is powered by a 2.0 litre engine and has a horsepower of 136 with a maximum torque of 190nm at 4,400rpm. 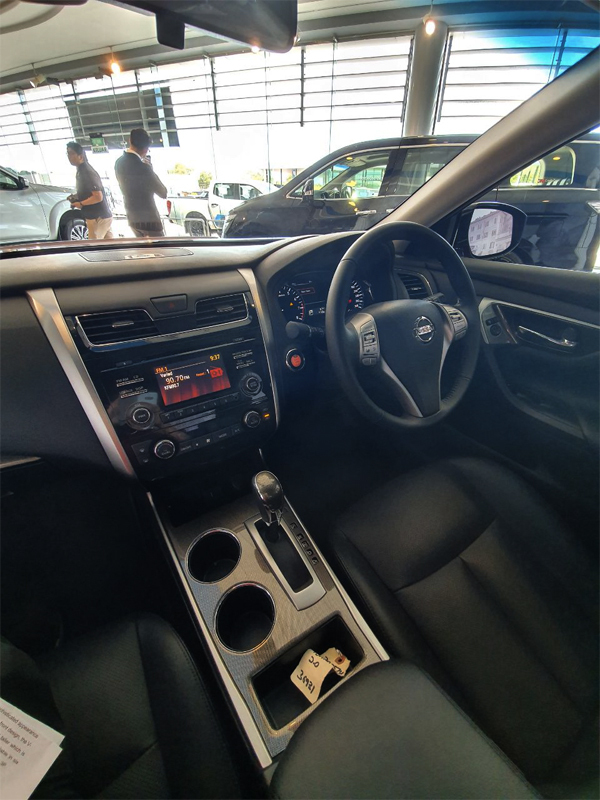 If you are keen to know of the price or check out the new Nissan Teana, do visit the showroom at Beribi or Kuala Belait. 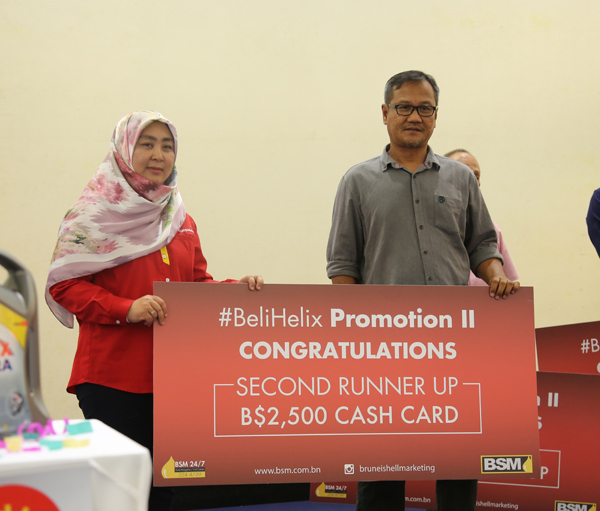 Brunei Shell Marketing Co Sdn (BSM) awarded its lucky winners for the recent #BeliHelix II promotion which was held at Times Square Shopping Centre two weeks ago. The promotion received an overwhelming entry of 15,000 from 8 February 2018 to 30th April 2018. 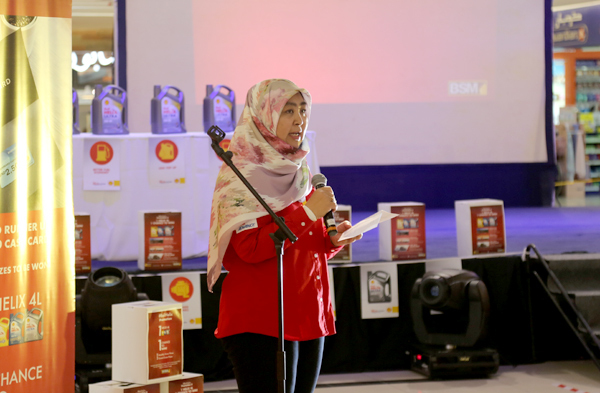 Hjh Siti Kurshiah Hj Anuar, Head of Commercial welcomed the winners and distinguished guests during her welcoming remarks and thanked all the customers for buying Helix products. 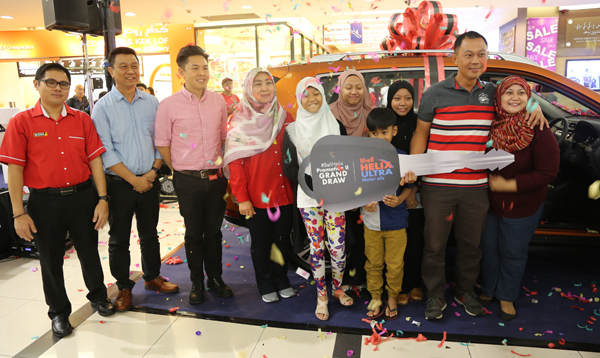 Mohd Shahrom bin Hj Sharbini, 40, was the lucky winner of the new Nissan X-Trail after being abled to start the engine after his third attempt. 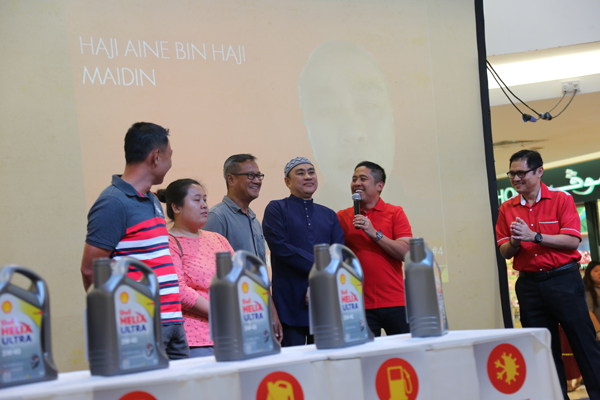 It was a close call between Mohd Shahrom and Hj Mohd Yusuf bin Hj Besar, the oldest person in the final draw as both attempted to ignite the engine of the SUV. In the end, the former was successful. Also present during the final draw was BSM Managing Director Pg Shamhary Hj Mustapha and representatives from Boustead. Goh Maycil won herself a Hong Kong tour package for two persons as the 1st runner-up. 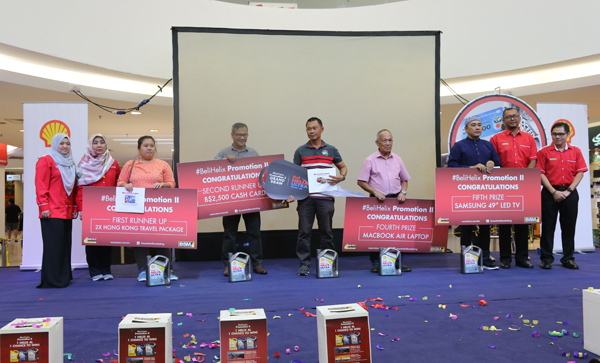 Second runner-up won a BND 2,500 cash card while the other consolation winners won a Macbook Air and Samsung LED TV respectively. Brunei Shell Marketing Co. Sdn. Bhd. (BSM) launches another round of #BeliHelix promotion after the great response from the last promotion which commenced from 1st November 2017 until 31st January 2018. The Grand Prize for the first promotion is a BMW 1 Series with the first runner up getting Dubai tour packages for 2 persons and B$2,500 cash card for the second runner up, in addition to other consolation prizes. The prize presentation will be held on 25th February 2018 at Times Square. Monthly draw winners have been announced in previous months and all of them are also eligible for the grand draw. This second promotion is to give our customers another chance to win more exciting prizes. It will be held for a period of three months starting from 8th February 2018 until 30 April 2018. Similar to the first promotion, there will be five (5) monthly draw prizes to be won for the months of March and April. 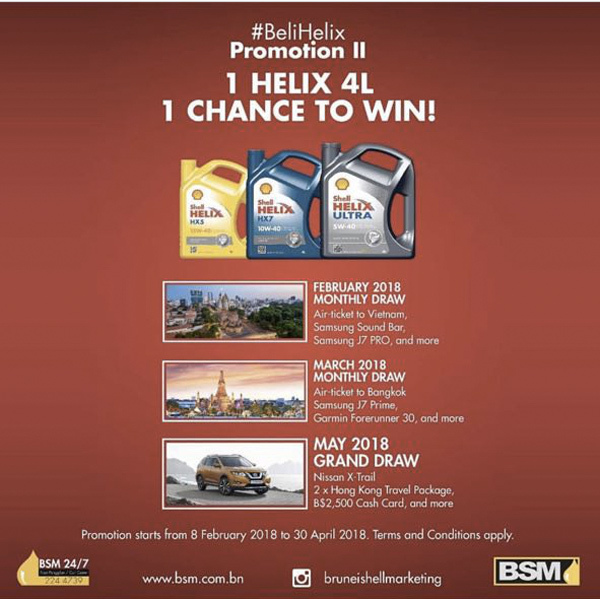 The Grand Draw of the #BeliHelix Promotion II is set to be held in May 2018. The date and venue for the grand draw shall be announced by BSM in due course. The #BeliHelix promotion II comprises of monthly consolation prizes such as air tickets, latest gadgets, electrical appliances and more. For this round, the Grand Prize will be a unit of the latest Nissan X-Trail. First runner up will be a Hong Kong Travel Package for two persons and the second runner up will receive B$2,500 cash card. Other consolation prizes will also be available for the lucky customers. Shell Helix customers will be entitled to one (1) entry form for each purchase of 4L of Shell Helix Motor Oil which comprises of Shell Helix Ultra, Shell Helix HX7 and Shell Helix HX5. Drop boxes for completed entry forms are available at participating BSM Authorised Distributors, Dealers and Retail Stations which can be located from www.bsm.com.bn. According to independent worldwide consulting and research firm, Kline & Company’s Global Lubricants Industry: Market Analysis and Assessment 2017 report, Shell has been named the world’s lubricants No.1 global supplier for the 11th consecutive year. For further information, customers may visit our website www.bsm.com.bn, Instagram bruneishellmarketing or contact us at BSM Call Center 2244739. 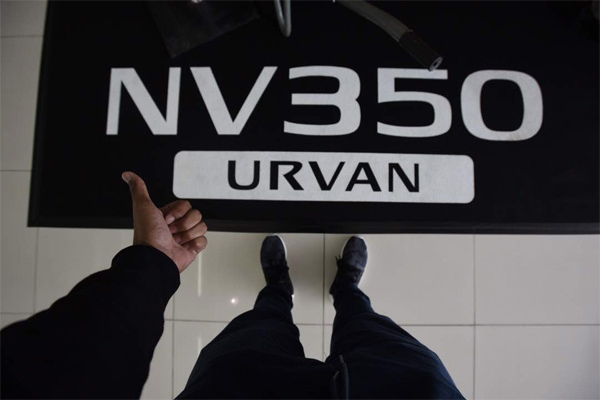 The long wait for an all new Nissan NV350 Urvan Wide Version finally comes to an end in Nissan Showroom, Beribi. 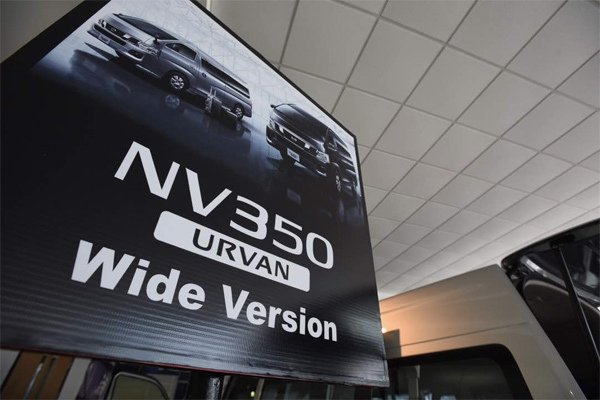 The previous version of this vehicle has been very popular in the car industry and this Nissan NV350 Urvan Wide Version is bound to bring a more satisfying ride for customers. 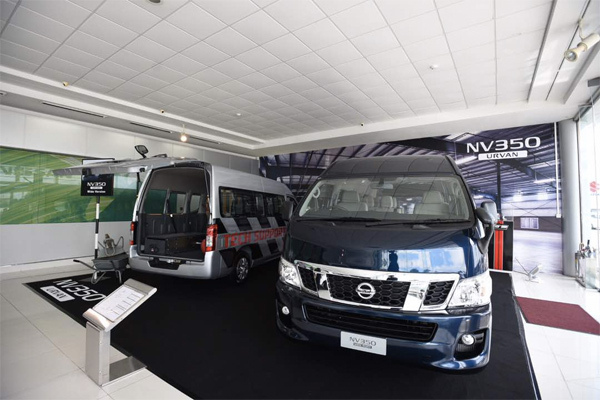 The new Nissan NV350 Urvan wide Version endowed a 2488cc in-line 4 cylinder engine that runs on petrol instead of the normal diesel. This new QR25DE petrol engine delivering a 108kw/5600rpm ensures a smoother and cleaner ride for customers. Not just that, petrol engines are known to be at a lower maintenance cost compared to diesel engines. This vehicle tends to idle at a lower than normal RPM which improves fuel efficiency and cost-saving. The size of this vehicle is one of its strongest points that made it able to transport large, bulky items from one place to another. 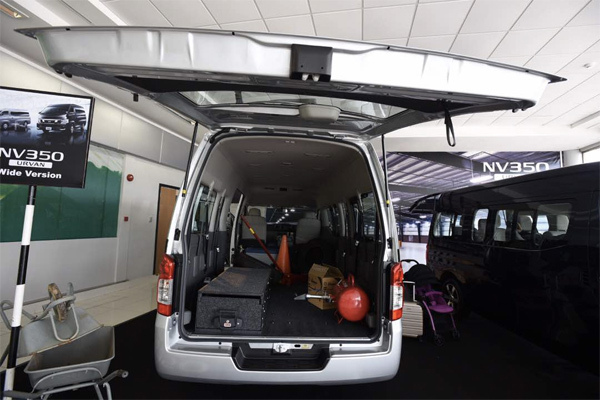 The high-roof and wide body of this Nissan NV350 Urvan Wide Version composes convenience for users to enter and exit the car with ease. This new vehicle has rear independent air-conditioning that is controllable with a central control switch. 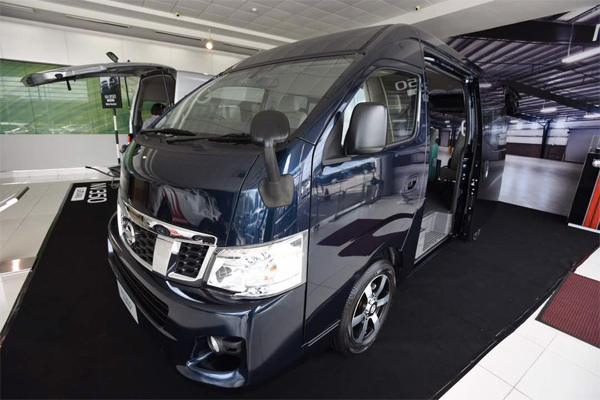 One of the purchasing reasons of this vehicle will be its flexibility in handling different types of situations that range from travelling to working. 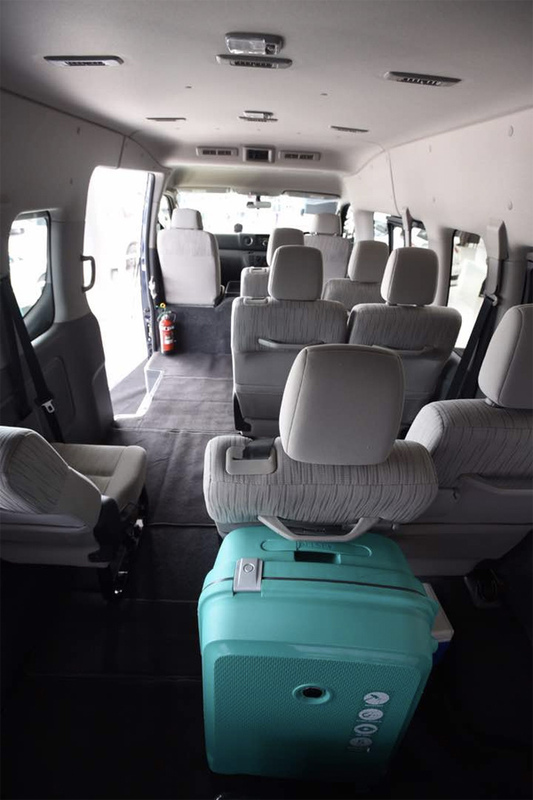 Most will find this vehicle useful as due to its 9-seater competency especially for large families. Equipped with a rear leaf spring, the vehicle is known to sustain heavier loads. 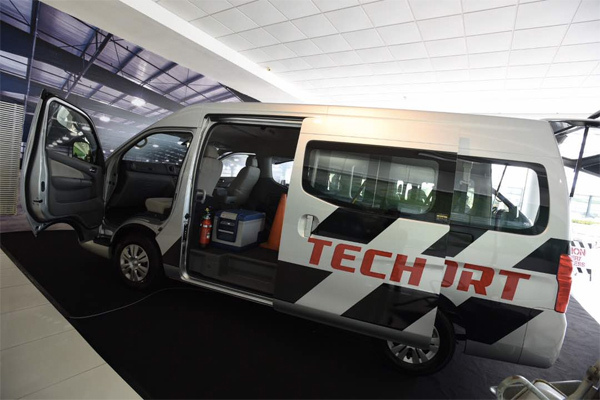 Together with its acknowledgeable huge luggage capacity of 3000L, this vehicle serves as a very strong transportation tool especially for business owners and private entrepreneurs. 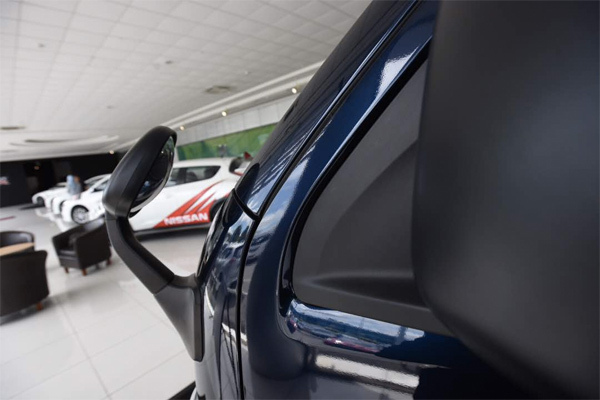 In terms of safety, Nissan’s concept of ‘the vehicle that helps protect people’ has always been the priority for the Japan manufacturer when producing a vehicle. This new vehicle consists of VDC (Vehicle Dynamic Control), a system that uses various sensors to monitor driver inputs and vehicle motion. Nissan’s top-notch Anti Braking System (ABS) helps to avoid skidding especially in emergency braking. 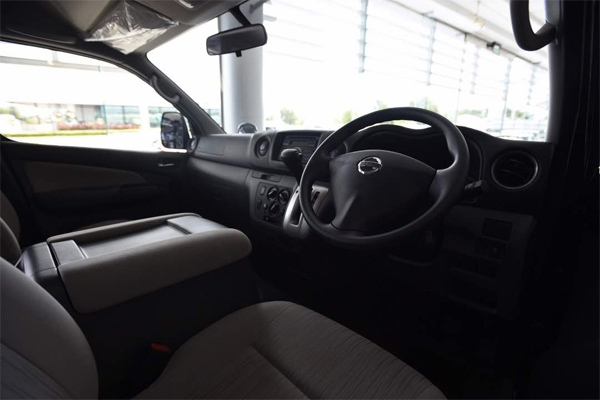 Added new features to this new Nissan NV350 Urvan Wide Version include existence of a foot brake, a factory fitted centre hand rest and storage compartment and a headlamp zer.